Material:Wood Stainless Steel. Size:17 10.5cm/6.69 4.13in. Canada Rate (item arrived) 0.0% 47.1% 31.4% 17.6% 3.9%. Rate (item arrived). Product Description *100% Brand new and high quality *Made of high quality material, more durable. *Non-toxic, tasteless and easy to clean. *Roll out fondant with a smooth rolling pin and once rolled out the rolling pin to imprint design. *Color:Brown (As Pictures Show) *Material:Wood *Dimension: (Approx.) 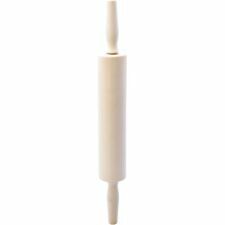 Diameter:5cm Roller:20cm Total length:35cm Package Content: 1*Rolling Pin Note:The real color of the item may be slightly different from the pictures shown on website caused by many factors such as brightness of your monitor and light brightness. Brand Unbranded EAN Does not apply. Baking with embossing rolling pin can be a fun, especially for kids. 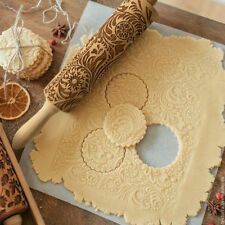 The best patterns and created the best design for the rolling pin to get well embossed and beautiful cookies. 1x Rolling Pin. Also note that monitor settings may vary from computer to computer and may distort actual colors. Baking with embossing rolling pin can be a fun, especially for kids. The best patterns and created the best design for the rolling pin to get well embossed and beautiful cookies. Size of the Flower pattern rolling pin is 39x5 cm. Pattern: Elk. Creating incredible and precise Christmas sym-bols embossing for baking or crafts for both kids and adults. 1 x Christmas Wooden Rolling Pin. Product Type: Rolling Pin. 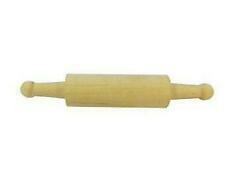 Rolling Pin Size is 35 x 4.5cm. Material:Wood Stainless Steel. Rate (item arrived). Canada Rate (item arrived) 0.0% 47.1% 31.4% 17.6% 3.9%. Material:Wood Stainless Steel. Size:17 10.5cm/6.69 4.13in. Rate (item arrived). Canada Rate (item arrived) 0.0% 47.1% 31.4% 17.6% 3.9%. New Funny Japanese Stress Sphere Reliever Anti-stress Human Face Balls Toys - 6A. New Pet Dog Cat Slow Feeder Bowl Puppy Anti Slip Choke Gulp Feed Bloat Dish - 6A. New Chef Cooking Basket Colander Fry Folds Flat Strainer Net Washable Sieve - 6A. 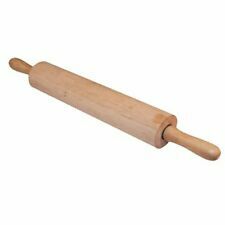 Wooden rolling pin 50cm Pastry Baking beech wood. Rolling pin made ​​of beech wood. total length 20” / 50 cm. Rate (item arrived). Canada Rate (item arrived) 0.0% 47.1% 31.4% 17.6% 3.9%. United Kingdom. United States. Item Number :996264. Size:17 10.5cm/6.69 4.13in. Color: As picture shows. Type:Rolling Croissant Cutter. Use for making croissant bread tool, pastry cutter. 1 x Rolling Croissant Cutter. Wooden handle. Easy to use. Material:Stainless Steel Wood. High quality stainless steel material, durable. 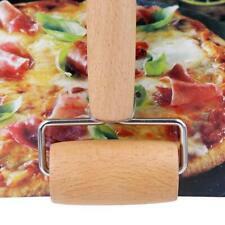 For pastries and pizza rolls, you need a solid tool to knead dough when making pizza and pies. Two heads can be used, ideal for different kinds of desserts, such as cake, cookies, and bread, etc. 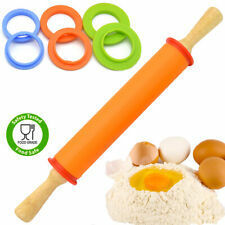 Features: T-shape, Multifunctional, Baking Stick, Roller, Cooking Tool.